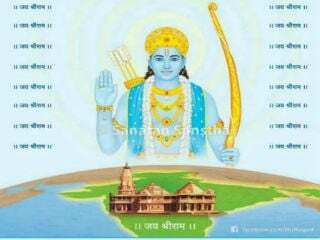 Home > News > Maharashtra : Hindus unitedly demand construction of Ram Mandir in Ayodhya ! 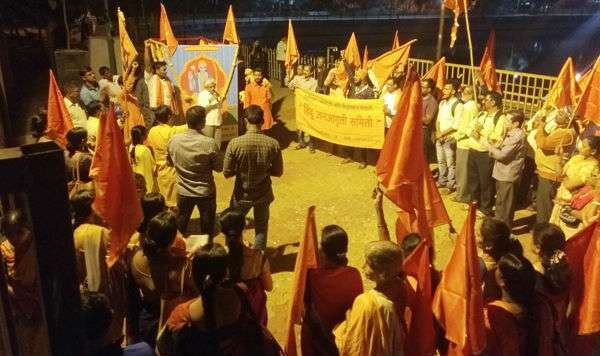 Maharashtra : Hindus unitedly demand construction of Ram Mandir in Ayodhya ! 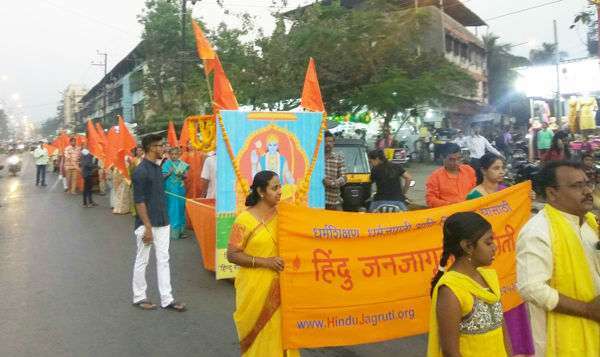 Hindu Janajagruti Samiti (HJS) and Sanatan Sanstha took initiative, with the support of all pro-Hindu organizations, in taking out ‘Shriram-naam-dindi’ through the city on 9th January. The ‘dindi’ was started from Jakhamata Mandir’ at 5.00 p.m. and it was concluded at Shri Hanuman Mandir, Line Aali. Shri. Balwant Pathak of HJS addressed the devout Hindus participating in this ‘dindi’. Sou. 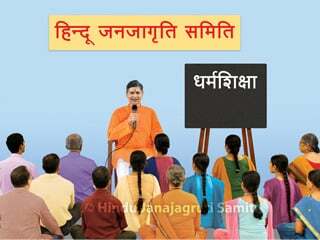 Mohini Mandhare of Sanatan Sanstha said, “Shriram is the seat of worship of billions of Hindus. Let us now pray to Shriram with intense faith and ‘bhav’. Let us pray to Shriram because only then it will be possible to construct Ram-Mandir.” The ‘dindi’ was then concluded with singing of ‘aarti’. Sanatan’s ‘Pujya’ (Sou.) Sangita Jadhav graced the ‘dindi’ with her auspicious presence. Signature-drive was undertaken on the occasion by taking signatures of devout Hindus on representation to be submitted to the Prime Minister. The representation, with collected signatures, was then submitted to Tehasildar and Executive Magistrate Shri. Deepak Akade. Amidst chanting of Shriram’s name and acclamation, demonstrations were staged outside Tehasildar’s office. Signature-drive was also undertaken. All participating devout Hindus then handed over memorandum to ‘Nayab’ Tehasildar of Roha Taluka, Shri. S.A.R Tulawe. Shriram-devotees made special prayers at Penn and Ramnath (Alibaug), besides chanting. Various pro-Hindu organizations took out procession chanting Shriram’s name (naam-dindi). It started from Datta Mandir at Kalyan (west) and was concluded near Shriram Mandir, Par-naka after performing ‘aarti’. More than 200 devout Hindus joined the ‘dindi’. Shri. Sudhir Sanorkar, Manager of ‘Lakshmi-Narayan Mandir’ and priest; Shri. Anant Gawali, owner of ‘Anant Halwai’; Shri. Pratik Thakkar and Shri. Hiten Gala, Shri. Raju Kambale; Shri. Yogesh Mokashi; Shri. Shailesh Vaze, owner of ‘Khidaki Wada’; Shri. B. R. Shanklesha from Kalyan garlanded ‘Shriram-palakhi’ at different places and performed ‘puja’. Devout Hindus carrying saffron flags and chanting Shriram’s name gathered at Nalasopara and procession was started from ‘Panchmukhi Hanuman Mandir’ after priest Shri. Vijay Joshi performing ‘puja’ of the ‘Dharma-dhvaj’. Picture-frame of Shriram headed the procession and drew attention of people. Parashuram Sena, Hindu Yuva Vahini, Rashtriya Bajarang Dal, Yoga Vedanta Seva Samiti, RSS, Sanatan Sanstha joined the procession through their activists, office bearers, members etc along with several devout Hindus and Ram-devotees. 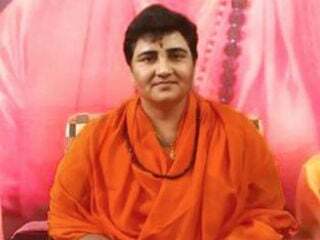 The Government should pass an Ordinance for building huge Shriram Mandir at Ayodhya; this holy land should be given to Hindus on permanent basis for performing ‘puja’, were the demands made in a program held at Shriram Mandir, Murdha village in Bhyandar; at Maruti Mandir, Andheri Malpa Dongari No.3 by Sanatan Sanstha, HJS, other like-minded organizations and Shriram-devotees by collectively chanting Shriram’s name. The program was started with recitation of ‘aarti’. Shri. Prathamesh Kudav of HJS explained the subject at Bhyandar and Shri. Sandip Gawandi did so at Malpa Dongri No.3. Signature-drive was also undertaken in support of the representation to be submitted to the Government. HJS, Sanatan Sanstha and other pro-Hindu organizations offered special prayers to Shriram through the medium of chanting His name. Pro-Hindu activists, devotees and readers of ‘Sanatan Prabhat’ were present on the occasion. The special prayers were offered amidst chanting ‘Shriram Jai Ram Jai Jai Ram’ at more than 35 places such as the famous Shriram Mandir at Tulashi Baug, Shriram Mandir at Narhe; Shriram Mandir of Hadapsar; Shri Kalaram Mandir, Gaothan; Pimpri-Chinchwad; Talegaon; Junner; Sangavi; Satara Road, Bhor; Kothrud, Vishrantwadi, Chandan nagar etc. 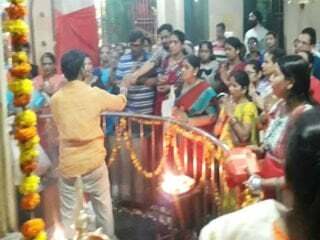 More than 150 devotees were present at Shriram Mandir at Tulashi Baug. Recorded chanting by Sanatan’s Sadguru (Sou.) Anjali Gadgil was played on the occasion. The program was concluded with Shriram’s ‘aarti’. A program was held at Shriram Mandir at Rendal (Taluka Hatkanangale) starting with offering prayers to Shriram. Shri. Kiran Duse of HJS explained the purpose of holding such program. All devout Hindus chanted Shriram’s name for 30 minutes. 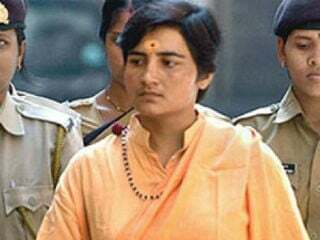 Many devout Hindus from pro-Hindu organizations like Shri. Pravin Patil and Shri. Manik Patil of ‘Shri Shivapratishthan Hindustan’, Shri. Nitin Kakade and Shri. Sushant Shinde of Shiv Sena; temple-priest and Shri. Bhivaraj Sharma, the President etc were present on the occasion. Similar program was held at Vitthal Mandir at Gijavane, Gadhinglaj which was attended by ‘Sanatan Prabhat’s readers and devout Hindus. Prayers and chanting was done at Ajra while members of Shriram Sena joined similar program held at Maruti Mandir at Jatrat (Taluka Nipani). Prayers were offered and chanting was done for construction of Shriram Mandir at Vitthal Mandir at Nadi-ves in Miraj; at Ambamata Mandir, Mangalwar Peth; at Gopalkrushna Mandir near Ganesh Talao. Many Holy Scriptures and archeological places are proof of ‘Rama-janma-bhoomi’ and it was not expected that the issue would be taken to Court. Hindus have to give proofs of their own places of worship is very unfortunate, stated Shri. Prashant Parab, a staunch patriot while addressing demonstrators at Santacruz. Demonstrations were staged for the demand of construction of huge Ram-Mandir at Ayodhya without further delay. 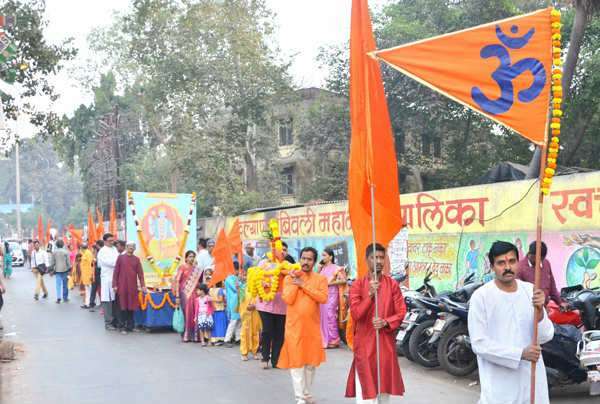 Devout Hindus from many pro-Hindu organizations including Hindu Janajagruti Samiti, Sanatan Sanstha, RSS, VHP, BJP and similar like-minded organizations staged demonstrations. Sixth Incarnation of Shrīvishṇu, who was a perfect blend of Brahmatēj and Kshātratēj.